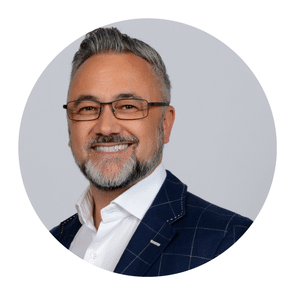 Hosted by Warren Knight, the Modern Selling stream is for sales & marketing leaders to learn how to convert more of the ‘right’ business opportunities. This content-led conference will show you how you can…1) enhance customer engagement, 2) advance the performance of your sales force and 3) improve the customer experience & take control of the buyer experience; providing tips, skills and tools that can be applied easily the very next day – generating more leads of a higher value, but importantly closing more deals at a quicker rate. Session Two – Why Sales Teams Don’t Make Quota? Free one-to-one consultations, bespoke to your business, to demo the latest CRM, CX, Lead Generation, Sales Enablement and Learning Technology platforms that are changing the sales landscape and providing your business with an unrivalled customer experience. Wednesday 27th November, the day before the accredited CPD programme at NSC19 on 28th November. Admission to this stream is included within the NSC ticket. This invite-only event is open to NSC delegates (past & present), as well as pre-qualified Sales Enablement Professionals, CMOs, Sales Leaders & Business Owners. Refreshments are provided, followed by a tour of the Wasps Stadium and networking drinks reception.